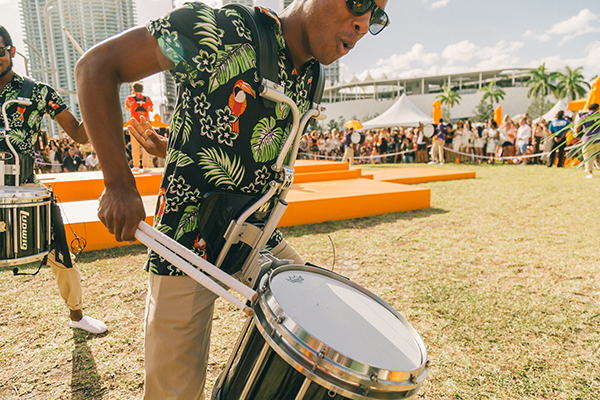 Veuve Clicquot Carnaval most definitely knows how to party. By party, I mean mesh together celebrities, influencers, samba dancers, live music, batucada drummers, and capoeira performers, all while letting endless champagne flow. 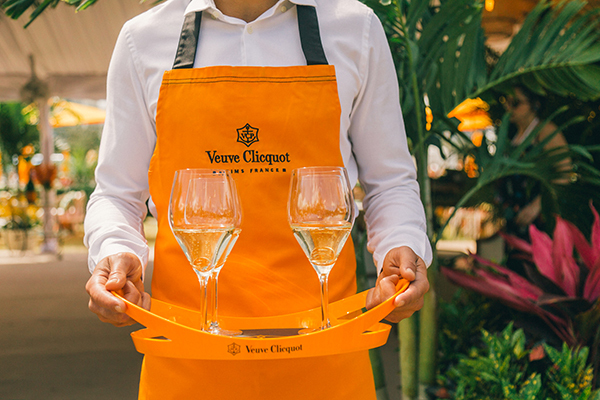 Led by Grand Marshall and Supermodel Adriana Lima, Veuve Clicquot Carnaval was filled with high energy and effortless luxury. Guests sipped on Veuve Clicquot Rich and Veuve Clicquot Rich Rosé, which are the newest options inspired by mixology. They are meant to be served over ice and paired with fresh fruits, vegetables, or herbs. Of course, their signature Veuve Clicquot Yellow Label and Rosé Champagne were also available. Nestled in Museum Park (overlooking Biscayne Bay and downtown Miami) over 3,000 people gathered in support of the event’s beneficiary, Pérez Art Museum Miami. In preparation of Veuve Clicquot Carnaval, I had the pleasure of going through a complete Dr. Patty’s Dental Boutique experience. Having never experienced a dental spa, I was quite surprised when I walked into an upscale spa-like setting. The facility had everything from complimentary champagne and espresso to hot towel service, cutting-edge technology, and eyelash extensions. Let’s just say it completely transformed my outlook on a typical dentist visit and I can never go back to a standard dentist again. Aside from the luxuries of Dr. Patty’s, I completely lost that whole “dentist visit anxiety” and felt comfortable. My intention was to go in for teeth whitening and eyelash extensions, but ended up wanting to live there. Honestly, I was so relaxed during the eyelash extension application that I fell asleep! As a side note, my teeth are the whitest they have ever been…in my life. I left feeling beautiful, inside and out!